Even though I've given you a basic Paleo bread recipe that you can use for sandwiches, I wouldn't even try to pretend that it's anything like normal wheat bread. It's great for sandwiches, but sometimes there is just no substitute for a good French loaf, and today's recipe can fill that need. Unlike most yeast breads that require a lot of time for rising the dough, this recipe is very quick and easy. Because of a special method of rising (more on that later), this bread can be made in under an hour and requires very few steps. However, to get really good French bread there is one requirement. The trick to making this bread is having the right pan. You can make it on an ordinary cookie sheet, but then it tends to get very flat and the bottom doesn't get very crispy. A french bread pan will allow you to bake wonderful crispy-on-the-outside and soft-on-the-inside bread that will rival anything you can buy. These pans aren't that expensive, and if you're going to go to the trouble of baking, shouldn't you make sure you get the very best results you can? This recipe is my version of the one you can find here. 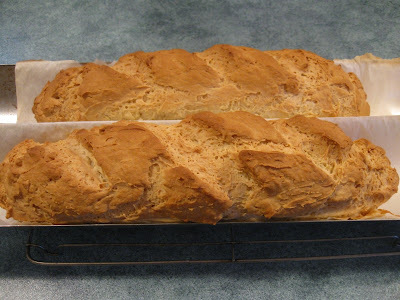 I love the method she discovered for making bread quickly, but I have to say I didn't find her recipe particularly flavourful, which is why I decided to do some experimenting of my own. If you've read my post on Paleo pasta you'll remember that I raved about how tasty this is. In that same book (Paleo Italian by D.C. Caprio) there is also a recipe for an all purpose flour mix that sounded a lot better to me. Rather than having potato starch as it's first ingredient, it has more almond flour which not only makes it tastier but also gives it the nutritional benefits that most gluten-free flours lack. It still has some of the other gluten-free flours in it, but I have found the results to be much tastier. And another bonus? Since the bread itself is more nutritious and also pretty filling, there is almost no danger that you will eat more than you should. 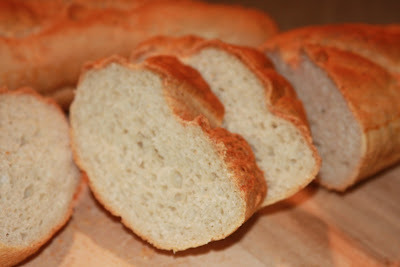 * In order to create a bread that is as similar as possible to the wheat version, I use both xanthan gum and guar gum. Each of these ingredients make up for a different quality that you can only find in wheat flour, but if you just want to buy one of these, use 2 teaspoons of xanthan gum and the recipe will still work. Cut a piece of parchment paper and use these to line the pan. 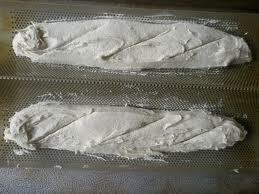 (see photo below) This will stop the soft dough from going through the holes. 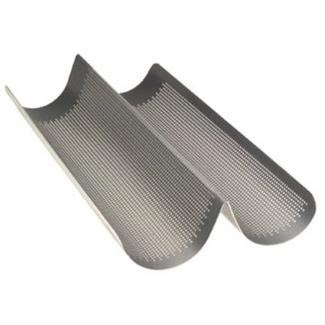 Since I buy ready cut parchment liners for my half sheet pans (see the side bar under "Popular Kitchen Supplies") I just fold one of these in half lengthways and find this fits perfectly. Combine your dry ingredients in the bowl of your mixer. Add the olive oil and the egg whites and mix until incorporated. Add the vinegar and about 2/3 of the water, then beat for 2 minutes until you get a soft dough, adding the rest of the water if needed. Divide the dough in half and spoon onto each pan, carefully shaping with a spatula. With a sharp knife cut several slits on the top of each loaf. The dough is supposed to be pretty soft (as you can see in this example from www.artofglutenfreebaking.com) I know it doesn't look like it's ever going to be bread, but trust me, it will. Now place the pan in a COLD oven on a middle rack. Yes, that's right. A cold oven. This is the trick. While the oven heats the bread will rise, eliminating this usual extra step that you find in most recipes for yeast breads. It also automatically gives you the right temperature for rising, regardless of what the temperature is in your kitchen. This is why I love this recipe and what makes it so simple, quick and easy. Turn on the oven and set it at 425'F. Begin timing and leave the bread for 30 to 35 minutes or until it starts to brown. Allow the loaves to cool completely on a wire rack before slicing. So, just to be clear, if you are looking for a strictly Paleo French bread recipe, then you are out of luck. (You didn't really believe you'd find one did you?) But if you believe in allowing occasional indulgences as Mark Sisson does on his plan, then enjoy some of this gluten-free bread once in a while without guilt. 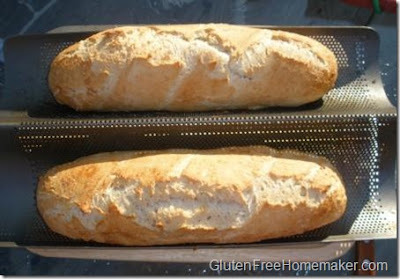 He has written on his blog that he thinks gluten-free breads are "okay." as an occasional indulgence. 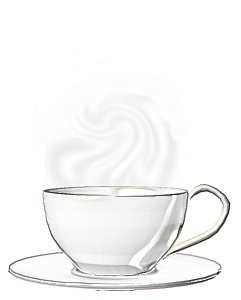 (see his post here.) I take this to mean you don't want to be eating a lot of it, but once in a while it can work as part of the 80/20 plan. We all know that life has it's challenges, and it seems silly to make it any harder than it has to be. No, you don't want to be eating this bread on a regular basis, and no you don't want to be eating lots of cheese on a regular basis either. But sometimes, instead of fighting temptation all evening, it's a lot better to plan ahead with a healthier compromise. 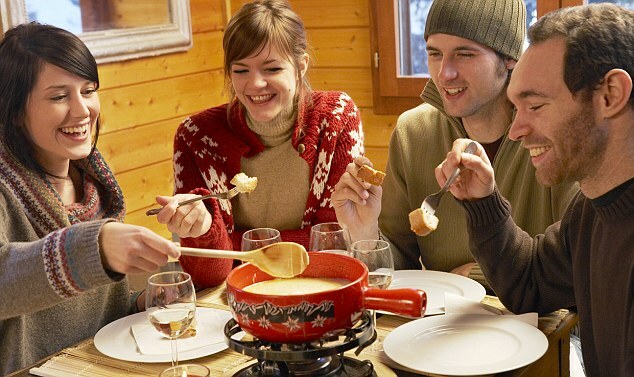 When you have a craving for French bread that can't be satisfied with anything else - say when you want to indulge in a cheese Fondue with friends - then this is a lot, lot better than blowing your healthy eating plan with the usual wheat version. And if you add a platter of chopped vegetables to dip as well or a side salad, you'll actually end up having a pretty healthy meal. Which part is not paleo? Thanks! This is where you hit a bit of a grey area. Paleo zelots would tell you that no part of this recipe is Paleo because it contains processed flours. The Primal Blueprint will allow it in moderation under the 80/20 rule, with the exception of surghum flour which is made from a grain. If you are following this plan you can still enjoy this bread by replacing the surghum with an equal amount of arrowroot. The recipe will still work perfectly. As for The Perfect Health Diet, they encourage safe starches so you should be okay there. However I do need to say that regardless of what plan you are following, if you decide to make this bread you should only eat it in moderation for two reasons. First, even if the ingredients are allowed on your plan, they are very processed and therefore shouldn't be a regular part of any diet. Even plans that encourage safe starches recommend natural forms such as rice, potatoes and sweet potatoes. Second, if you are trying to lose weight you should know that starches such as potato starch and arrowroot flour are very high in carbs. Higher in fact than the wheat flour that they replace. 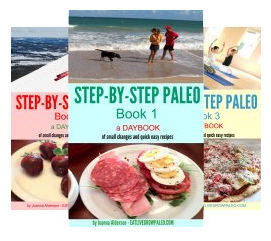 The Paleo diet is a low carb diet, mainly because of the elimination of grains, and this is a large part of why it is so successful for weight loss. This is why I have specifically marked this recipe as a "treat" recipe. Something to enjoy when you really crave bread but not something to eat in unlimited amounts. Having a slice or two once a month on a special occasion is one thing. Making it part of your daily diet is probably asking for trouble. If you really want a bread that you can safely eat on a more regular basis, check out the basic Paleo bread recipe. This is mainly made of almond flour and you could probably have a couple of slices of this every day as long as you didn't have any other extra nuts. 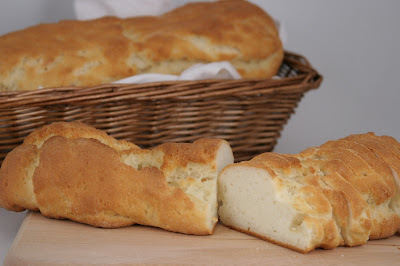 What do you think of using potato flour instead of starch in the French Bread? You don't want to use potato flour because it will give you a completely different result. Here is an explanation of the differences I found online from Ener-G ( the egg replacement people ). 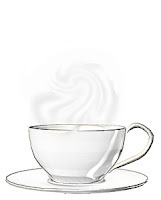 "What is the difference between Potato Starch, Potato Starch Flour and Potato Flour?"